Imran Khan was addressing an event to highlight the 100-day achievements of a provincial government in Lahore when he said his government was taking steps to ensure that religious minorities in Pakistan get their due rights. "There were around 20% minorities at the time of Partition in Pakistan, less than 2% remain now. On the other hand, minority population has grown significantly in India since Independence. Pakistan is the last country that should be lecturing any country on how to treat minorities," Mohammad Kaif tweeted. 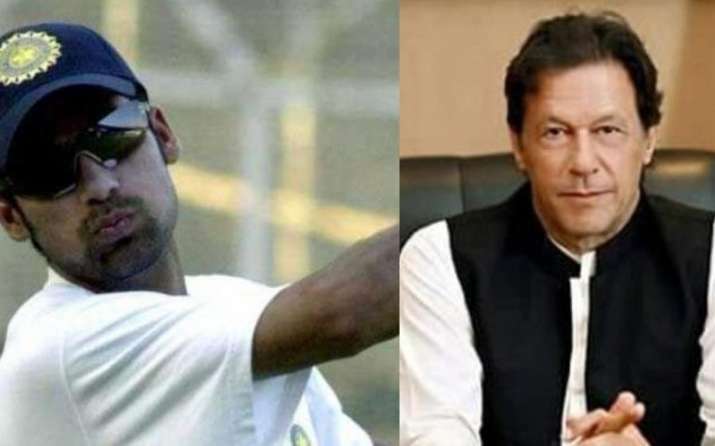 Referring to Indian actor Naseeruddin Shah's comment that the death of a cow was being given importance over killing of a policeman, Imran Khan said, "We will show the Modi government how to treat minorities... Even in India, people are saying that minorities are not being treated as equal citizens". Imran Khan was slammed in India for his comment. The BJP said on Sunday that Pakistan was 'terroristan' and it need not teach India anything. On December 3, a senior police officer and a student were shot dead in mob violence in Uttar Pradesh's Bulandshahr after cow carcasses were found. Reacting on the incident, the Bollywood actor said that he feels anxious for his kids. "It will be very difficult to capture this djinn back into the bottle again. There is complete impunity for those who take law into their own hands...I feel anxious for my children because tomorrow if a mob surrounds them and asks, 'Are you a Hindu or a Muslim?' they will have no answer. It worries me that I don't see the situation improving anytime soon," Shah said.